Boost your network with a feature-rich scalable multiservice platform that’s optimized to deliver the best-in-class IP and MPLS capabilities and ATM-based services with the Alcatel-Lucent 7670. This routing switch platform (RSP) is designed to make your network more reliable and provide more services concurrently — perfect for when you want to preserve your existing customer base while expanding with new options. Moving to an IP/MPLS infrastructure on a budget? 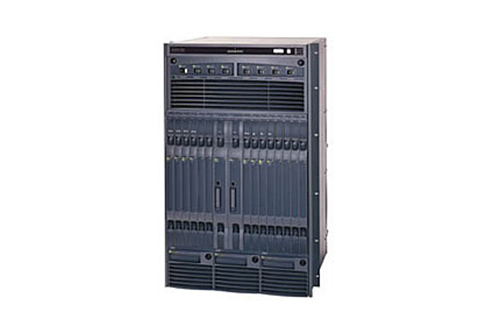 Consider a refurbished Alcatel-Lucent 7670 from Worldwide Supply. We’ll ensure your unit is brought up to OEM standards and is powerful enough to support the new services you want to deliver, from IP VPNs, Layer 2 VPNs, Ethernet and ATM to frame relay plus robust interworking capabilities that leverage existing standards for new core functionality. Worldwide Supply can help enhance your network reliably with a team of certified technicians who understand where you are now and where you want to be tomorrow. Accommodate the traffic growth you have today and your target traffic for the future, from 50 Gbps to 450 Gbps. The Alcatel-Lucent 7670 RSP is currently in use in more than 100 of the world’s largest mobile and fixed service provider networks across the planet because it has proven significantly reliable over time. With full equipment redundancy and smart switching safely between SONET and SDH interfaces, the Alcatel-Lucent 7670 RSP is also able to function at a wide range of sites throughout your network. Maximize your offering with a refurbished Alcatel-Lucent 7670 RSP from Worldwide Supply and get a full warranty, guaranteed original OEM quality and 24/7 support plus international parts delivery that’s always quick, so you can keep your network up and running smoothly. Grow and build exactly how you need with a used or refurbished Alcatel-Lucent 7670 RSP from the best, most-affordable partner on the market: Worldwide Supply.